If you need a master key system for your home or business, call Queensland’s leading master key locksmiths now for a FREE quote – 1800 550 750. If you want to reduce the number of keys needed to access the locks in your home or business, or if you want to restrict access to certain areas, then you need a master key system. Allstrong Locksmiths are the experts at designing the most appropriate master key system specifically for your security needs. We use the world’s best software, ProMaster 5 to design and record your master key system. We provide systems for all sizes of business – from a single office space to a multi-storey high rise. Call now for a free quote 1800 550 750. Want even more security? Get a Restricted Master Key system. If you are serious about the security of your home or business, then consider a Registered Restricted Profile Master Key System. This is similar to a standard Master Key system except the lock barrel is a registered, designed keyway that will allow only our specialty keys to pass. Keys for this system can only be obtained upon recept of a signatory that is kept on file. (Similar to how a cheque account works.) This stops unauthorised key duplication. Limits access to particular areas of your home or business. Provides a higher level of security – with no unauthorised key duplication. 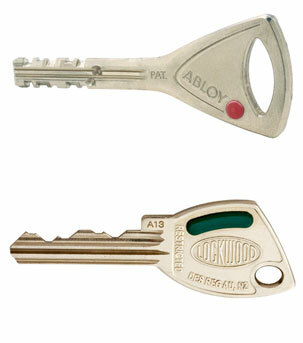 Ensures perfect keys that work every time because they are cut to code, not duplicated from worn and damaged keys. Gives you your own Key Manager software to control your systems. Call Queensland’s expert master key system providers now on 1800 550 750. We come to you 24 hours a day, 7 days a week.